Yes….it really is that nice. 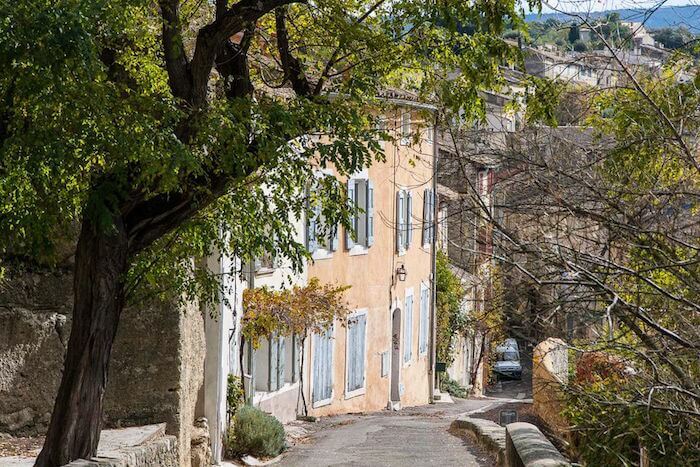 Some famous places and things just don’t live up to expectations like the Champs des Elysees & Times Square (too touristy, too commercial and too crowded) or the Mona Lisa, too small and impossible to get close enough to actually see it – but Provence will not let you down. It’s dreamy. Did you know that you can hunt both summer and winter truffles in Provence? Contrary to what you’ve probably heard, truffles are found using well-trained dogs because the pigs tend to eat the truffles. At least one of two types of trees (oak or hazelnut) must be present to make them grow in France. The darker winter truffle is the expensive one that has gained the most fame, but I actually prefer the somewhat more mild, more caramel-y colored summer truffle which is more subtle in taste and in my opinion more enjoyable. 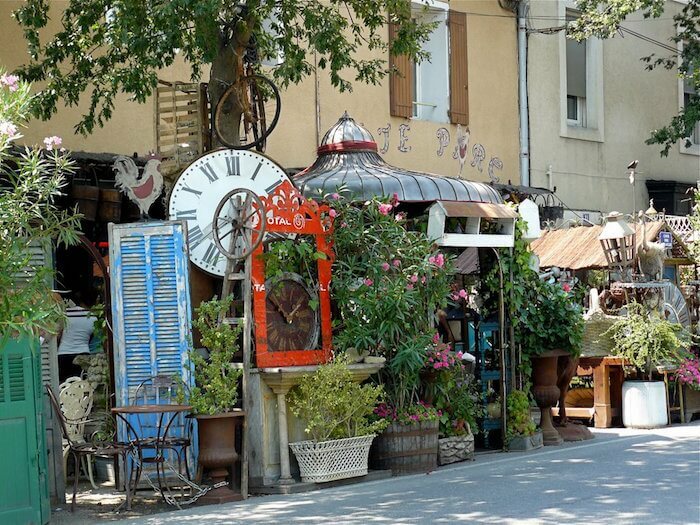 Right after the Marche aux Puces St. Ouen north of Paris, Isle Sur la Sorgue is the second most famous antique shopping spot in France. Here you can find everything from bargain vintage French barware to exquisite and expensive original Louis XVI antiques. I’ve bought a lot here and I always show my tour groups this antiques market and we often stay near this charming village encircled by a river. 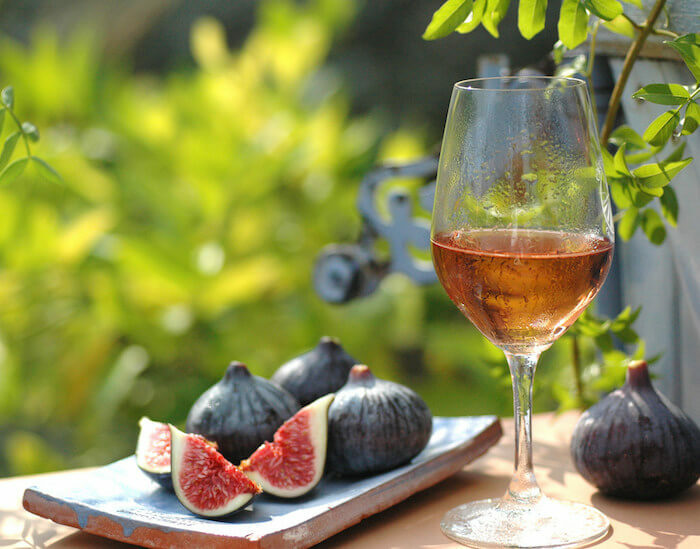 The mark of summer is a long rosé-fuelled lunch. 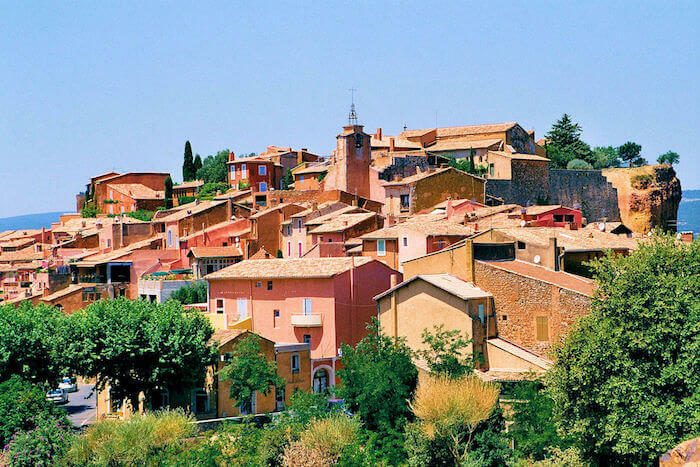 Because it stays warm in the south of France from April to November most of the world’s best rosé wine is made here. Oh and Brad Pitt’s chateau makes some of the best of it. 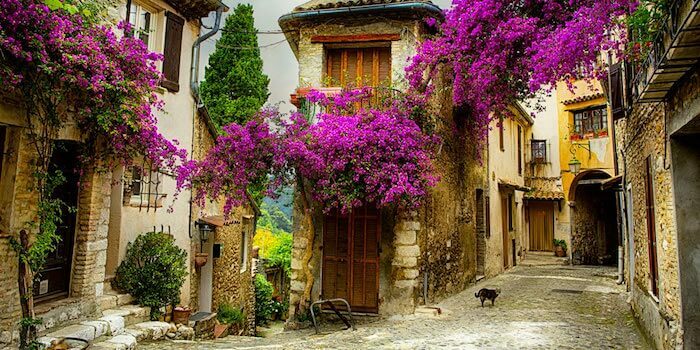 The fortress towns of the Luberon and Provence such as Gordes, Rousillon, St. Remy and Menerbes are outrageously beautiful. Peter Mayle wrote a book (My Year in Provence) about fixing up his home in Menerbes, which made the region even more famous back in the 90’s. These were fortress towns built to protect against invaders some of which date back 1000 years and you won’t tire of walking around them. Those Romans really got around. 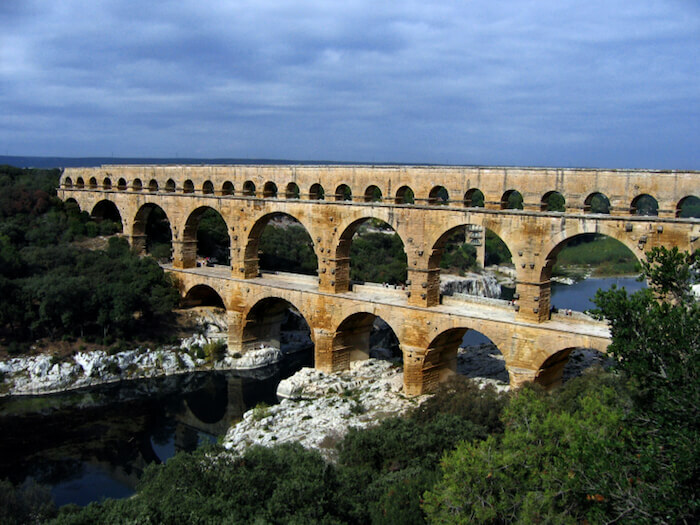 Its hard to imagine that some 2000 years ago the Romans had already made it up to this sunny, arid region where they built an amphitheater in Nimes as well as a temple, an impressive and enormous bridge called the Pont du Gard (pictured above) which acted as an aqueduct. They also got around to building as a second amphitheater in Arles. 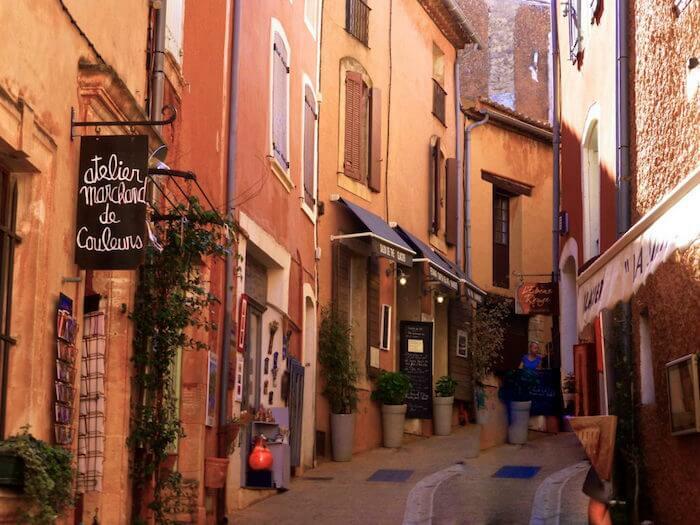 Exquisite evidence of Roman civilization is literally littered all over the Languedoc and Provence. Lavender, lavender and did I mention the lavender? The fields of sweet-smelling lavender blooms in Provence during July and August. 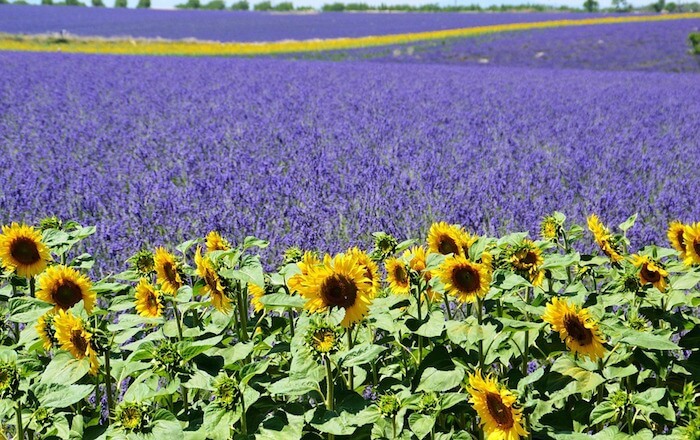 If you want to see the sunflowers at the same time then you’ll hit the Luberon, the Var and Provence during the warmest days of summer in July and August. Photo via The Spruce, get the recipe by clicking on the photo. 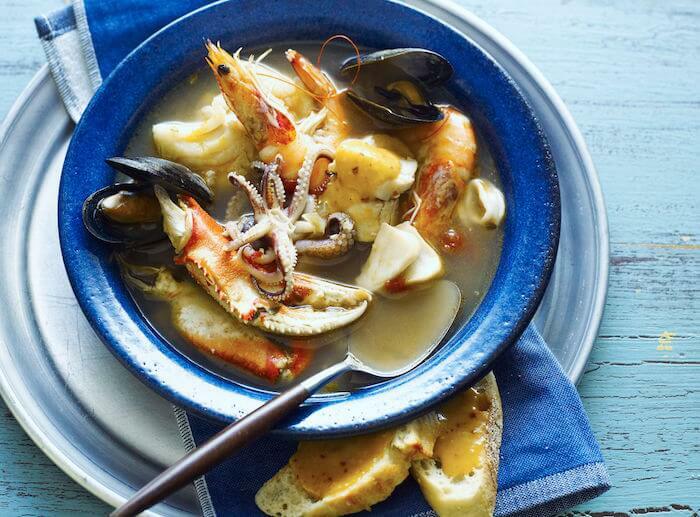 Bouillabaisse is an ancient soup first created by the Greeks who founded Marseille back in 600 BC. It is said that the fisherman of this ancient port town made this “simple” fish stew when they wanted something warm after a cold day of fishing. The special thing about the soup is the way it is served, with floating day old crusty bread which is smeared with a spicy aioli mixture called rouille. 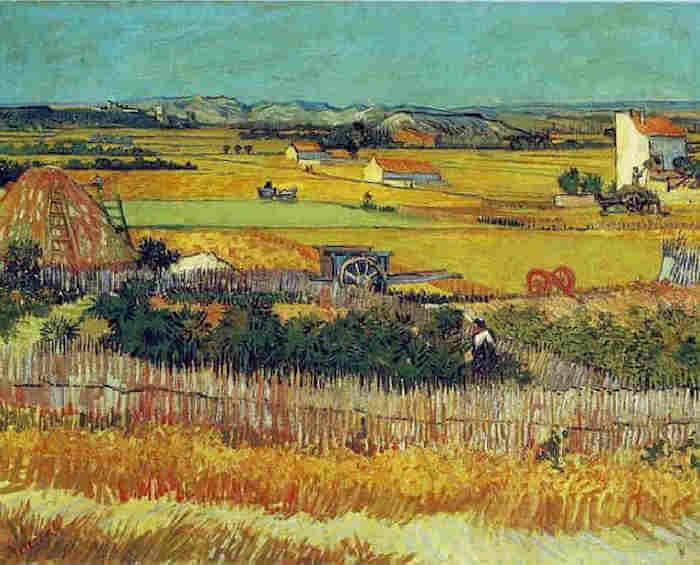 If it was good enough for Van Gogh….On our guided GG2P trip to Provence we are visiting the Monastery which was during Vincent’s time a sanatorium. It was here that he did some of his best work. Van Gogh relished the healing nature of the sun and the light in Provence, which to this very day every visitor immediately notices. 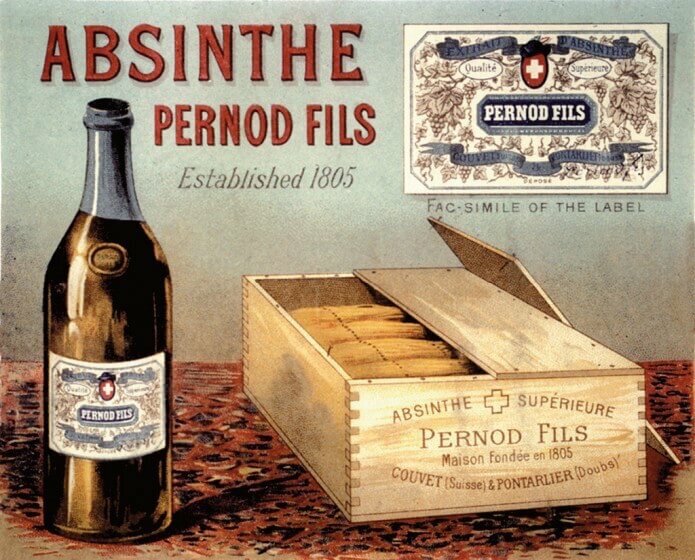 Learn more about Pernod a type of Pastis here on Nuovo’s website. Click on the picture. Pastis is the licorice liquer, which nearly ever farmer, trucker or petanque player sips after five o’clock. It’s a syrupy liquer poured over an ice cube or two and served with a small bottle of water on the side, which you add to create your desired strength. On hot days it’s the perfect way to start your evening and cool off. It almost insists on being drunk out of doors. Note: Travel this wondrous land on your own, or leave all the planning to us. We are taking a girls’ only guided trip this May and you can be on it. All info here.